The second part of the baseball season begins tonight. Many teams, perhaps even most teams, still have something to play for, whether it’s a division title or a chance at a wild card berth. My team, the Chicago Cubs, isn’t so lucky. They ended the first part of the season at 18 games below the breakeven point (and since it’s a bit more than the 81 games that makes up a “half” of the schedule, I’m just calling them “parts” instead). With 70 games left, the Cubs find themselves 45 losses away from 100 on the season. I explained a couple of posts ago why that’s significant. For as much as people have identified the Cubs with losing in recent years (ever since 1945, really), they haven’t lost 100 games in a season since 1966. I was born a couple of years after that, meaning that I have not seen the Cubs lose 100 games in a season before. And, even though it means rooting for losses over the second part of the season, I’m willing to do that because the other alternative–a playoff berth–is not going to happen. A team that cannot win four straight games has no business believing that playoffs are in their future. Time to face facts about that. I wanted to find a way to commemorate the Cubs’ march toward infamy. True, other teams have lost 100 games in a season before, and more franchises have suffered this ignomity over the past 44 years than have avoided it. I won’t say that this team will set any historic loss records for the rest of this season. The 120 losses that the Mets suffered in their expansion year is probably safe for this year. At least from the Cubs, it is. I’m not sure about Houston, though. What I am saying is that none of the 100 loss seasons ever happened to a team that had also gone 100 years or more without a World Series title. Let’s face it, if any other team gets to that point, I–and anyone who can read this blog–will not be around to see it. I am going to start in 1967, which is the first season after the Cubs’ last 100 loss season (but keep in mind their championship drought was a mere 61 years at that time). The next Cubs loss will trigger an examination of the team that lost 100 or more games that season. 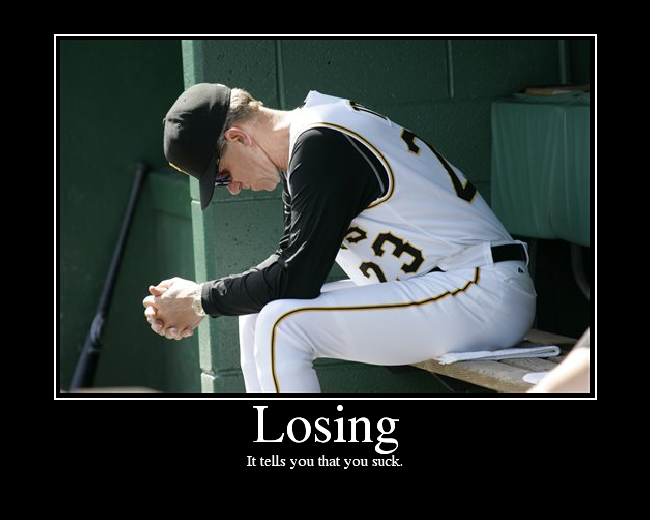 Some years had zero teams with that many losses, while one season had four teams hit that level of futility. Each of the teams from that year will be looked at in some way or another. And if there weren’t any teams, I reserve the right to blather on about any baseball and losing-related topic that comes to mind. And trust me, I can be really creative on that front. So as the losses mount up, the present day will get closer and closer. With loss #40, for example, 100-loss teams (there were two of them) from 2006 will be profiled. One has since gotten better, and one really has not. That’s what will make this interesting, for myself and anyone who wants to read this. With loss #45, the year 2011 will kick in, and the Cubs will likely find themselves sharing a column with the Houston Astros, who are (and probably will remain) the only team worse than the Cubs this year. They have never lost 100 games before, and certainly not in the timeframe I’ll be discussing. Some franchises make multiple appearances, and some won’t appear at all. But I’ll keep going until the 100 threshhold is reached. What happens if the losses keep coming after that? I’m sure I can think of something. Understand that I’m not a Cubs hater, wishing bad things on the team I’ve followed since I was seven years old. On the contrary, I love this team. The front office suits want to promote the Cubs as a “brand,” but I have danced when this team has won, and I have sat dumbstruck when they have lost. And I’ll keep coming back as long as I’m on this earth, because I love Chicago and I love baseball and I love the National League style of play. Where else am I gonna go? But, having said all of that, I’m not going to shy away from what may end up as a historic season within an already historic championship drought. I truly want to see that, rather than playing .500 ball and having Jim Hendry back to cause even greater damage next year. I don’t want Mike Quade back either, but until the Cubs remove Jim Hendry as General Manager, this team will continue on a downward spiral. I’m quite confident that his lack of results speak for themselves in this regard. How many World Series wins have come during Hendry’s tenure? Zero. And that’s all that really matters to this fan. So first up, with the next Cubs’ loss, will be 1967. I reserve the right to write about topics other than the Cubs as inspiration strikes, but I’m certain this will dominate the postings from here until the season ends on September 28. Buckle up and enjoy the ride.